Recently we have mostly been taking photographs of Wedding Accessories! 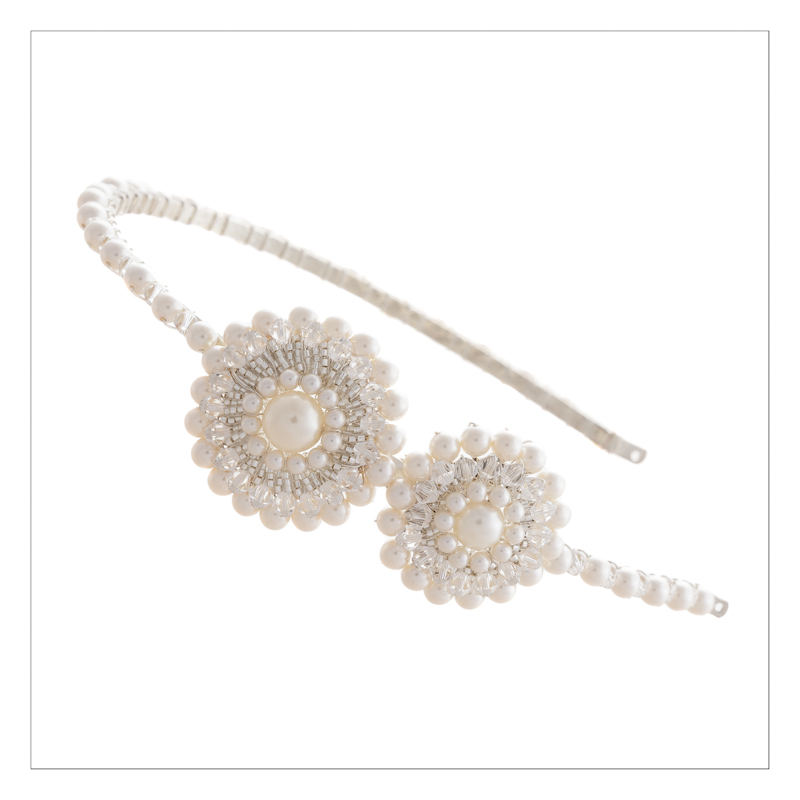 Accessories for the wonderfully talented Vivien J Wedding Accessories business and their new website. This sounds like a nice easy job that requires us sitting in a nice and cosy studio, cup of tea warming on the side, snapping away with a table top set-up. However this has not been the case! 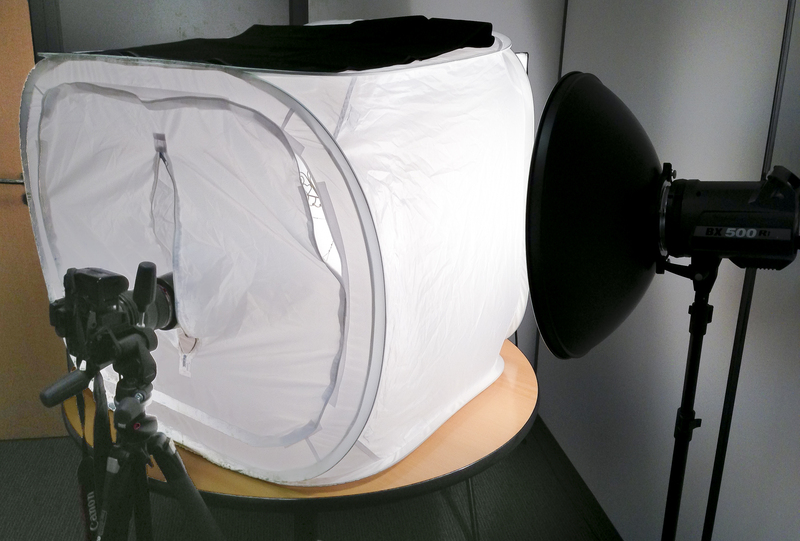 Anyone that has ever tried shooting largely white objects on a white background will no doubt confirm, it ain’t easy! 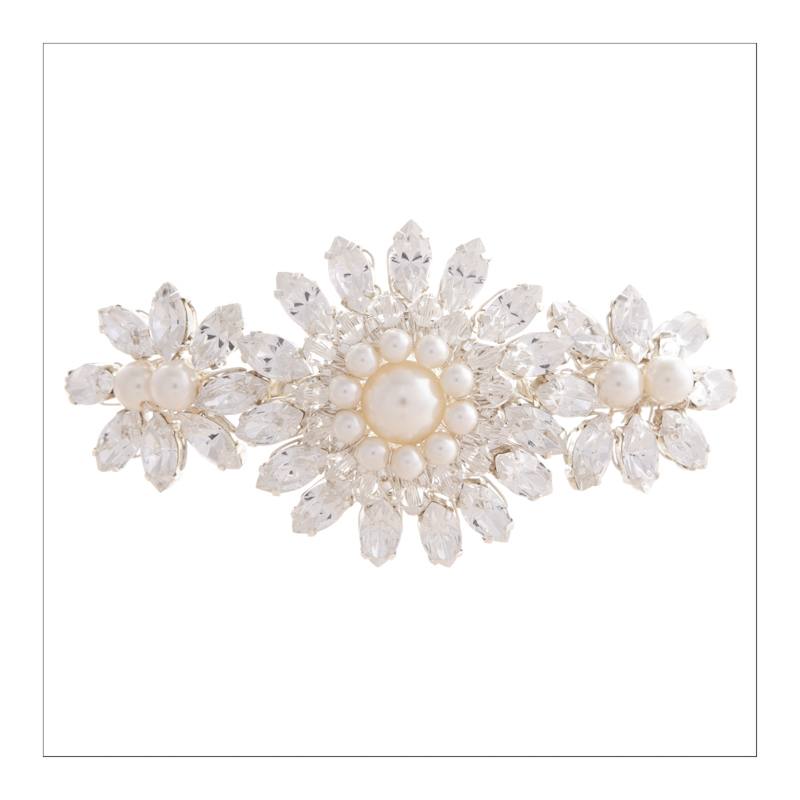 We ended up concocting various clever ways of supporting said jewellery and gorgeous items (made out of crystals and pearls) in order to photograph them properly. The main issue in shooting these items is that they have curved surfaces (pearls) and in order to ‘blow out’ any background to white, you risk also blowing out the pieces as well. Photographing them on a black background and cutting out is not an option because the curved surfaces reflect the black from underneath. Firing strobes directly underneath caused problems of highlight detail being lost in the jewellery pieces themselves so the solution was to create some separation between the item and the white base. This was achieved by a piece of glass supported a couple of inches (5cm) above the white table top. We used a white tent cube with diffused lights from the rear and left of camera. These were dialled up enough to blow the highlights on the glass/background but not enough to lose detail in the pieces themselves. Yes there were a few reflections that needed to be lost in post processing but this was a fairly easy job compared to cutting out around these intricate pieces individually. Anyway, all is well that ends well and we look forward to the next collection of items that arrive Monday for the next instalment of the Wedding Accessories shoot!